Son of Babylon wants to be a faithful portrayal of a country that has fallen apart. 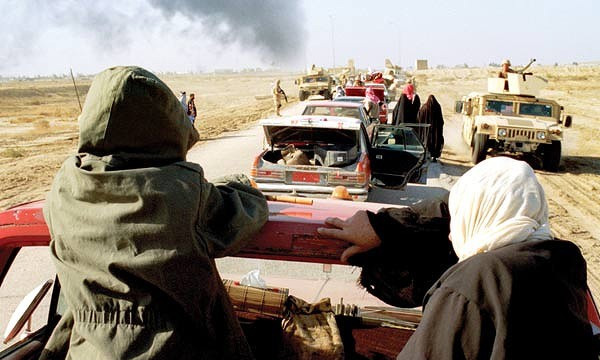 The horrors of the recent wars – from Saddam’s Anfal against Kurdish people in the North to the latest US campaign for “democracy”, all forgotten as soon as the media moved on to the next topic – are still clearly visible and source of great distress for the Iraqi population. Cities that once were lively appear covered in rubble, families bear the weight of death and destruction directly over their shoulders, while the leaders of the world as usual fill their mouths with nonsensical talk about liberty and democracy. Ahmed is just one example of how the war affected common people, but like him or his grandmother many others have a personal story to tell that is an open wound that will very likely never be healed. A huge trauma hangs over the Iraqis, a trauma that will require over the years to come more suffering and sacrifice to be cured. Where the official media fail, deliberately ignoring the truth and pretending for the benefit of a brainwashed public whose serenity and good conscience they have to preserve, fortunately cinema sometimes has the power to arrive. 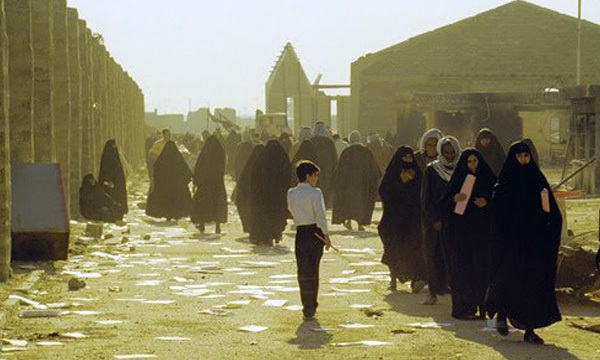 Son of Babylon is not a groundbreaking film, but doubtlessly this co-production represents an ambitious project for a mutilated country like Iraq. On the whole, Al-Daraji’s film is a very polished work. The widescreen cinematography works perfectly with the representation of injured Iraq. What I didn’t like about Son of Babylon is the strong mannerism Mohamed Al-Daraji used profusely throughout the film. So many scenes seem to have been aesthetically composed in a gratuitous way simply to force upon the audience an emotional effect that is neither completely sincere nor motivated by the film’s conception. We are obliged to watch several shots that too heavily emphasize Ahmed’s innocence or his grandmother’s loneliness and anguish. The story in itself was very much eloquent and I don’t feel there was any need to make it more poignant with a few predictable redundancies here and there. However, Mohamed Al-Daraji is a young and promising filmmaker. Hopefully with maturity he will acquire a greater sense of measure.